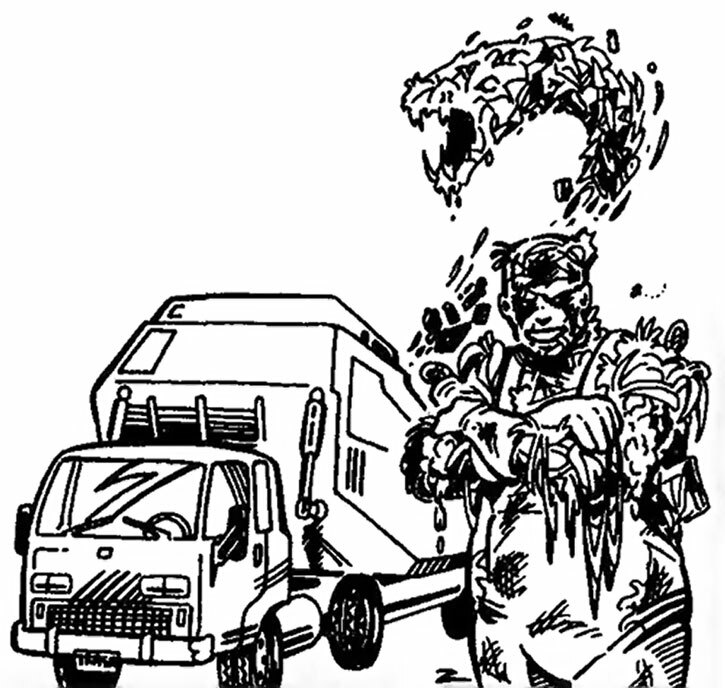 The Garbageman is a superhumanly strong and tough monster, able to lift five tons and withstand smallarm fire without suffering significant wounds. He is able to telekinetically animate masses of garbage into the shape of serpents, dragons, etc.. This telekinetic power also apparently reinforce and repair his truck, keeping it functional despite abuse. Sam Baker was a professional garbage man who always worried about hauling toxic wastes without knowing it. One day, his fears came true. Although it is unclear what ended up in his truck, it brutally warped him into an inhuman monster and warped his mind to evil. 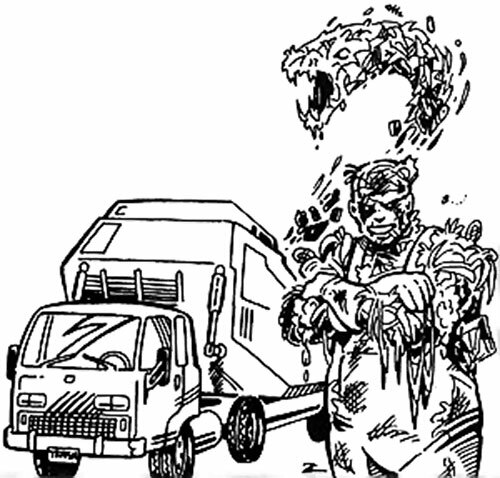 The Garbageman is now a rampaging menace. Sure. He sounds vaguely like a Young Justice villain anyway (the 2000s comics book). Earth animation is limited to trash (-2). 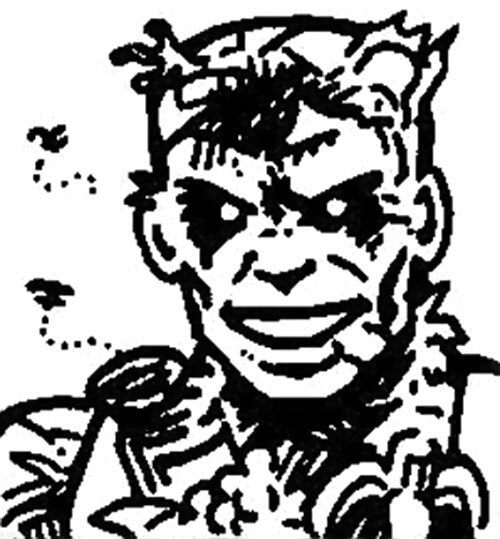 The creature’s DEX is half its STR or BODY (-2). Split can be used on garbage creatures (+3), and only on garbage creatures (-1). Strange appearance, Attack vulnerability (-2CS vs water-based attacks), MIF of being clean. GARBAGE TRUCK [STR 10, BODY 12, Claws: 06, Running: 06, R#2, Note : Claws can only be used against someone stuffed in the back ; it attacks with an AV of 08]. By Sébastien Andrivet (MEGS adaptation from a Ken Cliffe V&V writeup). 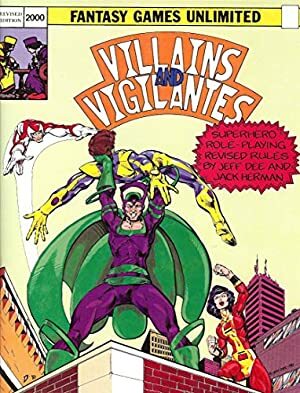 Source of Character: Super-crooks and criminals V&V sourcebook.